21. 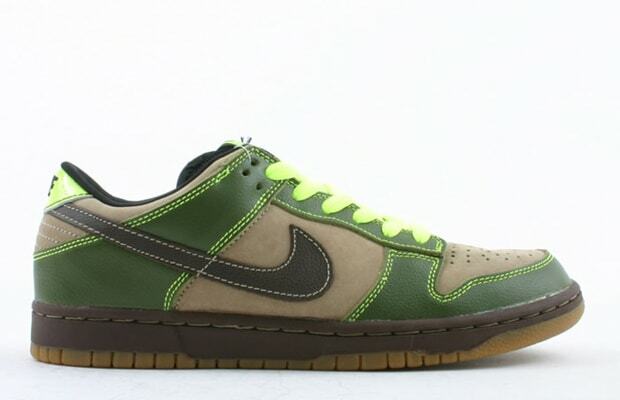 Nike Dunk Low Pro SB "Jedi"
Word to Dagobah. Nike SB flipped this brown and green Dunk Low in honor of Jedi master Yoda and his home planet — but even not knowing that, these were dope from the neon laces down to the gum sole. Crave not, a Jedi warrior... you know what? Crave away.